If you don’t have a Gmail account yet, you should get on it! Having a Gmail account gives you access to a number of great tools that are accessible in one location. Individuals can set up multiple accounts for different purposes. In the context of concerns over workplace privacy, it is suggested that individuals utilize these free accounts instead of work email addresses when sending personal email because, under current law, an employer can monitor email sent and received over the employer’s system. Increased Free Storage — Other Web mail services offer 2-6 MB of storage for free. GMail will provide up to 500 times that amount of storage for free. As with other services, the storage includes not only email, but attachments, expanding the number of documents that users can store remotely. Searchability of Mail — Most Web mail services allow individuals to create folders to store mail. GMail uses the Google search engine to help users find their email messages, further encouraging users to keep large volumes of material with the assurance that the search engine will find it for them. 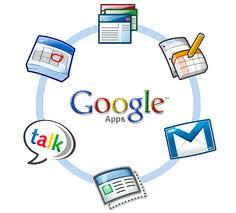 You can use and enjoy all the features of Google talk without even downloading and installing it on your computer by simply logging into your gmail account online; you can even use Google talk on your mobile phone and stay connected with your friends on the go. The Google Calendar layout is fairly simple. A miniature view of the calendar appears in a column on the left side of the screen. It displays the current month and highlights the current day. A larger viewing area takes up most of the rest of the screen. The Google Calendar has multiple viewing options. You can choose to view the calendar by day, week, month or a view that presents just the next four days. You can also choose an “agenda” view, which presents all scheduled events as a list rather than as a calendar view. No matter which view you’re in, you can block out time on the calendar. In most views, Google Calendar allows you to schedule appointments or events with a simple click-and-drag interface. In the day, week and next four days views, you can block out time in half-hour increments by clicking and dragging down the appropriate day. Google Calendar then prompts you to fill in details about the appointment. In the month view, you can block out time for multiple days. This is particularly useful if you need to set aside time for trips and vacations. You can keep appointments simple with just a subject header, or you can choose to add more details. You can include a location for the appointment and a short description. You can also use the “repeat” function for events that occur regularly, such as a weekly meeting or annual event like birthdays. Most of these functions are similar to the features of other calendar software products on the market. As part of an effort to differentiate Google Calendar from its competitors, Goggle incorporates other features that take advantage of Google’s capabilities. Perhaps the most notable Google offering is its search function. In Google Calendar, you can use Google’s search technology to search not only your own calendars, but also any public calendar on Google’s system. Let’s say you’re going to a conference. The administrators of the conference have made the event’s schedule available online through Google Calendar. You can use the search function to find the event’s calendar and synchronize it with your own. Google Calendar returns a search engine results page(SERP) specifically formatted to show calendar results. You can select the appropriate entry in the SERP and Google Calendar takes care of the rest. Now you’ve got the detailed schedule imported into your own calendar. Perhaps you own multiple calendars, some of which are public and others that aren’t. You can use the search function to look for specific events within your calendars. Google Calendar returns a SERP showing you where specific scheduled events fall on each of your calendars. Google Does It All: Part 2 – Google Documents and Google Reader – must have for “Web Citizens”! Google Does It All: Part 3- Google Analytics and Webmaster tools – great tools for Webmasters! I just signed up for a Gmail account and already am using like 3 tools! Good publish.Such fascinating read and data, thanks for sharing this submit, I? ?ve already bookmarked your weblog. I can see that you are putting lots of time and effort into your blog and detailed articles! I hate reading bout d brain!!! !